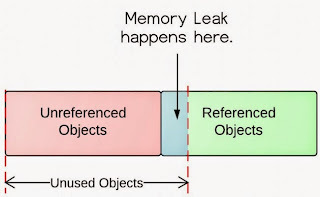 Giving examples of memory leaks in Java is one the most frequent questions in job interviews. 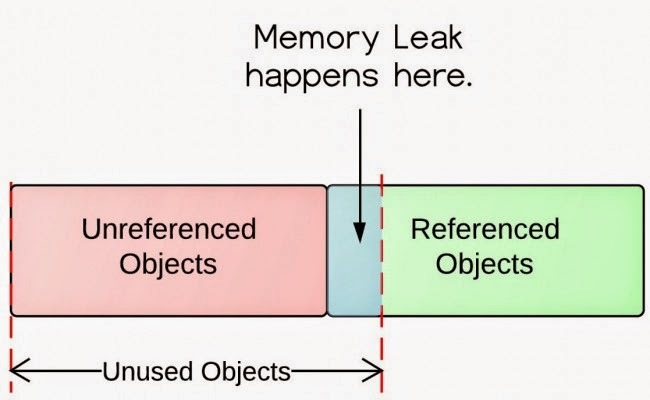 Below is a huge list of simple memory leaks examples, some are collected from my previous class notes, some are collected from the internet. //Have an input file "inputFile"
This doesn't need any code to explain, any memory created through native methods could work. Example 5: A cool example from Eclipse. String str="A very large string. A very large string. A very large string. A very large string. A very large string. A very large string. A very large string. A very large string. A very large string. A very large string. A very large string. A very large string. A very large string. A very large string. A very large string. A very large string. A very large string. A very large string. A very large string. A very large string. A very large string. A very large string. A very large string. A very large string. A very large string. A very large string. A very large string. A very large string. A very large string. A very large string. A very large string. A very large string. A very large string. A very large string. A very large string. A very large string. A very large string. A very large string. A very large string. A very large string. A very large string. A very large string. A very large string. A very large string. A very large string. A very large string. A very large string. A very large string. A very large string. A very large string. A very large string. A very large string. A very large string. A very large string. A very large string. A very large string. A very large string. A very large string. A very large string. A very large string." Example 7: Using a final static to hold an object reference!